The Institute of Neural Regeneration and Tissue Engineering is a non-profit charitable organization that was founded with the goal of studying challenging neurological problems and ultimately improving the lives of people who suffer from strokes, spinal cord injuries, traumatic brain injuries, and neurodegenerative diseases. Such conditions have few if any effective treatments, and our primary focus is on scientific research work that will translate the basic sciences of today into the biomedical technologies of the future. We seek to understand the fundamental basis of all neural function and dysfunction, from molecular, cellular, and human perspectives. As an institute directly involved in ground-breaking research, our funding and donations go directly towards the research and development of novel advancements in our knowledge and new therapies that will help us better understand, treat, and cure neurological diseases. The Institute has already made many significant scientific discoveries and advancements, as described through several highly impactful scientific publications, thereby providing important insights in the fields of tissue engineering, stem cell biology, and regenerative medicine. Discovery of novel 3D neural tissue constructs with biochemically-functionalized nanofiber architecture enabling enhanced capabilities to achieve extended neurite outgrowth and directional control in three dimensions. Discovery of new neuroprotective mechanisms in stroke and ischemia, including the role of certain glutamate, calcium, and adenosine signaling pathways and their interaction with volatile anesthetic agent mechanisms. Discovery of the effects of certain regions of alternative splice variants of the CaMKII enzyme, including effects on neuromodulation and dendritic arborization in neurons. Discovery of unique electrophysiological phase-locking responses in auditory neural networks when processing harmonious versus dissonant acoustics. Discovery of molecular coatings for neural implant devices that aim to enhance integration and biocompatibility within neural tissue. Discovery of novel mathematical models for diffusion and metabolism dynamics in 3D tissue constructs and stem cell-derived organoids, holding many important implications for 3D tissue culture, stem cell differentiation, and development of brain architecture. Creation of electrically-active 3D neural tissue structures (including cerebral organoids or "mini-brains") using induced pluripotent stem cells (iPSCs) derived from human skin cells and embedded in unique multi-compartmental biomaterial designs that help reconstruct specific regions and structures of the brain. 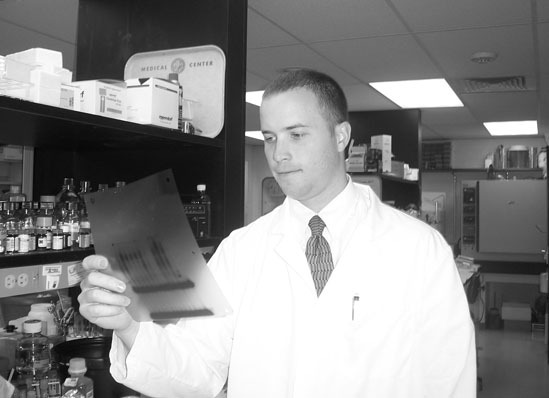 Dr. McMurtrey’s current research focuses on neural tissue engineering, stem cell biology, and regenerative medicine, including the study of mechanisms and strategies for controlling neural stem cell differentiation, synaptogenesis, and stem cell regenerative approaches to neural injury and disease. In addition, his work examines neuroprotective mechanisms and neuromodulation, which holds potential for novel therapeutic interventions in stroke, traumatic brain injury, spinal cord injury, and neurodegenerative diseases [such as Parkinson's disease, Alzheimer's disease, Huntington's disease, and Lou Gehrig's disease, or amyotrophic lateral sclerosis (ALS)]. He is also making advancements in the development of novel neural interfaces, including new biomolecular coatings for neural implants that may improve biocompatibility, function, and duration of implanted tissues and devices. Altogether, this work will be essential in the advancement of therapeutic interventions that will usher in the most significant advancements in functional neural recovery over the next several years. A vast amount remains to be discovered regarding the workings of the nervous system, and this work seeks to unravel and understand these mysteries, while also translating these discoveries into meaningful therapeutic interventions that will improve quality of life for millions of people around the world.